European travellers are interested in roaming prices for making and receiving calls. And prices of roaming services are progressively being brought down in the EU. Now consumers pay no more than 0,19 € (price are without VAT). The maximal roaming price per 1 MB download is 20 cents. A cross-border SMS costs 6 cents. Except for lower prices, customers will have the option to shop around for the best deal and from July 1, 2014, sign up for a separate mobile contract for roaming, which may be different from their domestic mobile provider, whilst keeping the same phone number. Under the new rules, consumers would also receive information about roaming charges when they travel to countries outside the EU. As from 1st July 2012, people travelling outside the EU would get a warning text message, email or pop-up window when they are nearing €50 of data downloads, or their pre-agreed level. Consumers will have to confirm they are happy to go over this level in order to continue their data roaming. We recommend consumers to ask their operator about their roaming conditions as operators are only obliged to offer at least one roaming tariff for making calls within the EU providing the provided maximal prices. However, roaming prices for other tariffs can differ. * The cap is per MB but you will be charged per Kilobyte used. 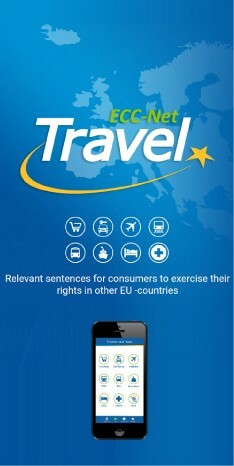 ** Roaming charges will no longer apply, as long as you are using your phone abroad temporarily. Providers can still charge you for using your SIM card in another country permanently. These price caps apply to everybody – unless you have opted for a specific service or package. Of course, your provider is free to offer you cheaper rates, so it pays to look out for good deals. For more detailed information on country-specific issues, you can contact the relevant national regulatory authority.